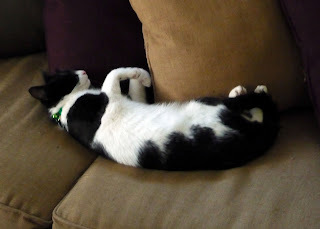 Isn't it cute how sleepy kittens can fall take a catnap anywhere? Like right in the palm of your hand? 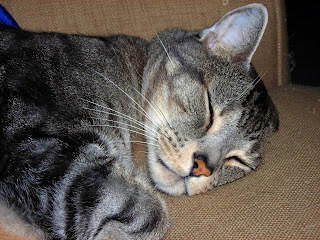 This sweet, teeny baby is in such a deep snooze that he's even dreaming! Wonder what he's dreaming about... I hope it's not a little nightmare. And now, without further ado, the Top 10 Cutest Posts of the year, according to how popular each one was. No surprise that this on make the Top 10 list! If anything, I'm surprised it's only #10. This cute little surprised kitty was one of the most watched videos of the whole year! 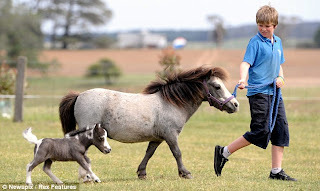 #9 Cutest Cute: My Little Pony - Baby Miniature Horse! This is the cutest horse you've ever seen. Ever. I imagine she could probably live in my house quite comfortable, and even snuggle in the bed. Click on the picture for even more! 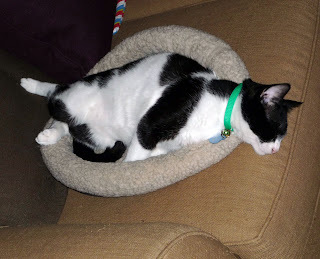 While death by cat may not sound cute, believe me it is... and you all thought so too! Here's one way your cat may kill you -- click on it for the rest! 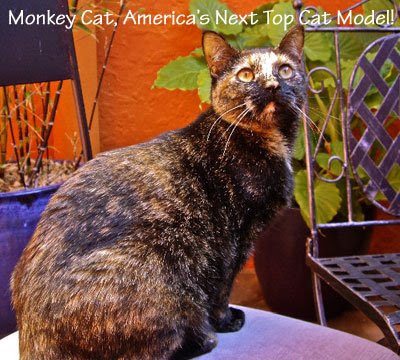 Remember when Your Daily Cute held the first America's Next Top Model competition back in March? You all voted on the five finalists, and these are them! Congrats to @Monkey_Cat who ended up winning! #1 Cutest Cute of 2009: Big Dog Adopts Cute Little Piggy! This sweet mama dog stole all of your cute little hearts this year, running away with the #1 spot. 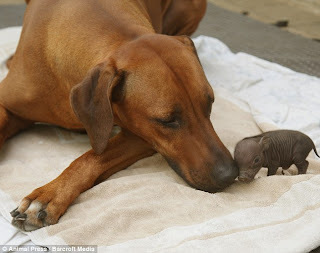 Here's one of the pictures you loved -- click on it to see the rest of the mommy doggie and her baby piggy! I hope you enjoyed this Top 10 Cutes list! I had a blast all year posting videos and pictures for all of you. 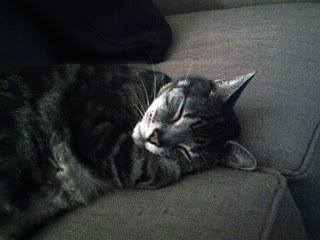 Your Daily Cute is one of my absolute favorite parts of my life right now. I've met so many great people, watched so many cute videos and hopefully caused so many smiles. Here's to an even cuter 2010! I always love seeing cats who do tricks, and the whole "getting shot" trick is one of my favorites! I can't imagine my cats learning to do this... (unless there were piles and piles and possibly some magical video editing involved). But Willow does is with drama, with finesse -- a purrfect execution! Let's see some Bang, Bang Doggies next! Today's Cute is cute and educational! Imagine that... Cute is good for your mind!